Your personal online stationery service. You’ll never have to resend artwork or print specs again. Once your artwork is set up, all you need to do is login, enter the custom details for your product and it’s done. If you ever need to change it, all you do is supply the new artwork and your site is updated. 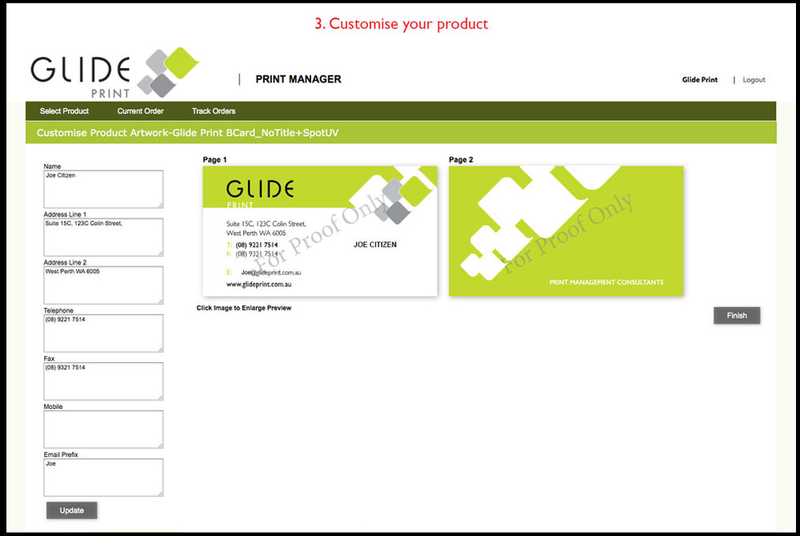 Easily manage all your corporate printing materials in one simple-to-use system. Unlike most online print services, you’re not using generic templates. This is your site, your products and your artwork. 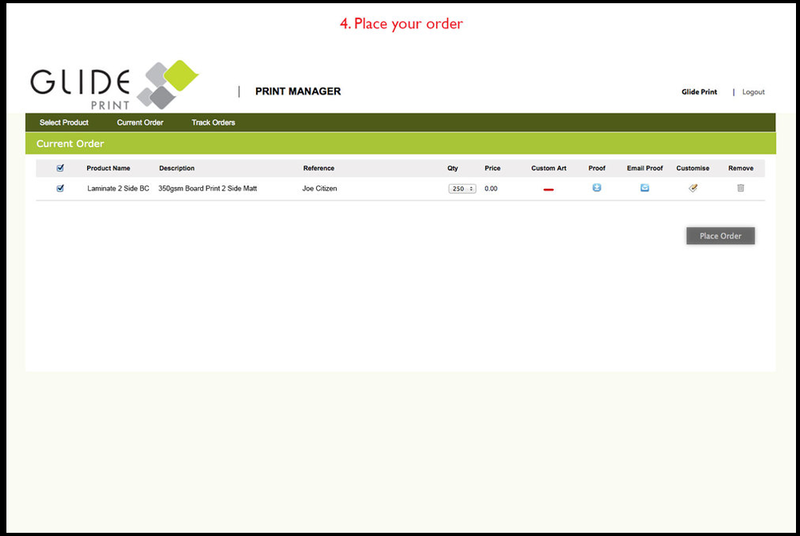 All your print records are saved to your site so you can see what was ordered, by whom and when. Every order is covered by Glide Print’s personal service so you can be sure every product has the Glide Print guarantee of quality. 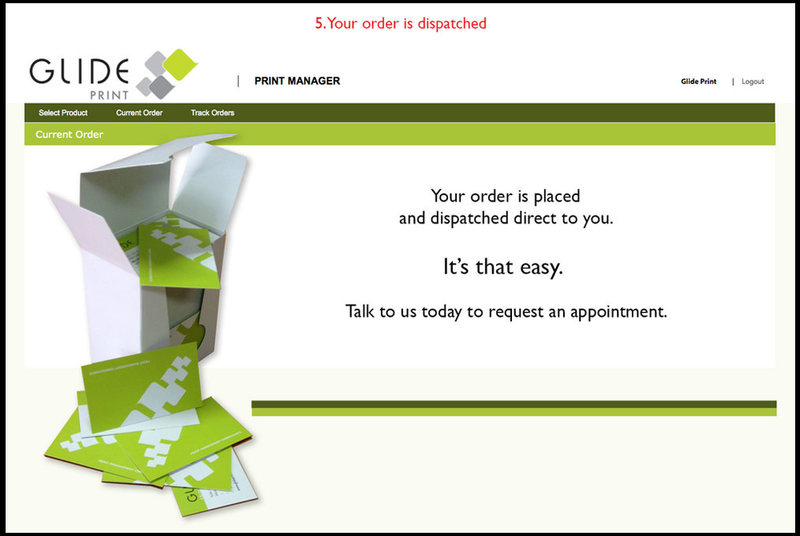 Call us on (08) 9221 7514 for a no-obligation chat about how easy it is to put your stationery ordering online today.